Type 1 diabetes (T1D) afflicts about 1.25 million Americans. It means a lifetime of insulin use, blood sugar testing, and risk of complications. It can’t be cured at this time, but possibly it can be prevented. Preventing T1D would be a big deal. It accounts for 5–10% of all cases of diabetes worldwide and is growing at the rate of roughly 2–5% per year. Unlike Type 2 diabetes, which mostly (not always) affects older adults, Type 1 diabetes usually (not always) starts in childhood or adolescence. The risk of Type 1 varies dramatically by where you live. In China and Latin America, the rate has until recently been about one case per year, per million kids age 14 or younger. In Scandinavia, Portugal, the UK, Canada, and New Zealand, the rate is over 300 cases per million. In the United States, populations from Pennsylvania, Alabama, and Illinois were studied and reported between 100–200 cases of Type 1 diabetes per million children per year. Although it can start at any age, T1D most often comes on between ages 10–14. Where does T1D come from? Why is the rate increasing, and why are some people so much more likely to get it? Type 1 diabetes is caused by the destruction of beta cells in the pancreas. We knew that, but what causes the destruction? Why are otherwise healthy children in Finland and Sardinia, one of the healthiest places in the world, a thousand times more likely to get Type 1 than much poorer, less healthy people in Venezuela? Most scientists believe T1D is an “autoimmune” disease. That means the body’s immune system destroys the beta cells that produce insulin. There is pretty good evidence for this theory. Specific immune proteins in the blood and specific genes have been found that predict Type 1. One substance that is often tested for is the GAD (glutamic acid decarboxylase) antibody. High levels of GAD are a strong sign that Type 1 is coming. Why should the immune system turn against vital body cells? Like T1D, all kinds of autoimmune diseases have increased in recent decades. Rheumatoid arthritis (RA), multiple sclerosis (MS), ulcerative colitis, and Crohn’s disease are some of the best known, but there are hundreds of others. What has changed in our lives to cause these new epidemics? It could be the diet we’re eating, or it could be toxic chemicals in the environment. There is evidence for a risk from cow’s milk and from a wide variety of chemicals. Another theory called the hygiene hypothesis gives us more to work with. This theory may enable us to protect millions of young people. The hygiene hypothesis says that immune systems act badly because they are not being exposed to the germs they need to develop. Their job is to fight bacteria and other invaders. But modern environments are so sterilized that babies’ immune systems don’t get exercised. They develop big holes in their ability to respond to the world. Then in T1D, something comes along like a virus or the cow insulin in cow’s milk and sets the immune cells off on a crusade against beta cells. Different triggering viruses or chemicals or genes might lead to a different disease. Some people with T1D have other autoimmune diseases at the same time. Our bodies should have a vast variety of germs living in them at all times, mostly in the intestines. These bugs are called the “microbiome” and are vital to good health. In our society, our obsession with germ-fighting causes many people to not have enough variety in their microbiome. Autoimmune disease may be a result. A new study in infants from Finland, Sweden, Germany, and centers in the United States found that “probiotics” greatly decreased production of antibodies related to T1D. 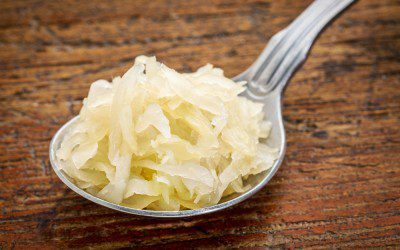 Probiotics are “good bacteria,” like the ones in yogurt or sauerkraut. They can be given by a dropper and are available at most health food stores. Acidophilus is a well-known one. Probioics are considered safe for babies to consume. If babies need germs, logically breastfeeding would be healthier than formula feeding for the immune system. Breastfeeding comes with the germs on Mom’s breast and hands and her breathing. Some studies have in fact shown that breastfed babies are less likely to develop T1D. Smart people used to worry a lot about giving their kids germs. Infections like diarrhea and pneumonia used to be the main killers of children. In many places, that’s not true anymore — chronic conditions like diabetes are much bigger risks, and germs may help prevent some of them like T1D. You also want to reduce exposure to toxic chemicals, as we wrote about here and here. What are productive ways to face fear when you having diabetes? Drawing on his 22 years with Type 1, Scott Coulter shares his suggestions. Bookmark DiabetesSelfManagement.com and tune in tomorrow to learn more.